Carcassonne, a fortified city in Southern France is located on a rocky hilltop and the town stands up with turrets, circled by thick stone wall that makes the fortified city seem like something out of a children’s storybook when viewed from a distance. The castle is said to viewed best from outside particularly since the town within the walls seems very appealing. The best way to reach Carcassonne is through the Canal du Midi which is a 150 mile waterway that tends to run through some of the most picturesque locations of Southern France. Several of the boat tours on the canal tend to stop at Carcassonne. Since 1997, being a UNESCO World Heritage Site, it is most of the people’s idea of the prefect medieval castle. The old walled town known as La Cite tends to attract over 4 million tourists each year, especially in high summer. The fortified settlement prevailed on the hill since the pre-Roman era where Carcassonne now seems to stand. It is an outstanding example of a medieval fortified town in its present form, with the massive defences surrounding the castle and the adjoining buildings, together with its streets and fine Gothic cathedral. It is also of extraordinary importance due to the extensive restoration campaign that was undertaken by the well-known architect Eugene Viollet-le-Duc who was one of the founders of the modern science of conservation.Viollet-le-Duc took the renovation project in hand and the rest is said to be history. Owing to its position on historical routes through France, the area had been inhabited for over 5,000 years. It had been an important centre from 2,500 years ago ahead and was first fortified by the Romans, given the name Carcaso. Thereafter the Romans were driven out and Cracassonne fell in the hands of several invading tribes. It thus became more fortified and progressed particularly after falling into the hands of the powerful Viscount Trencavel. 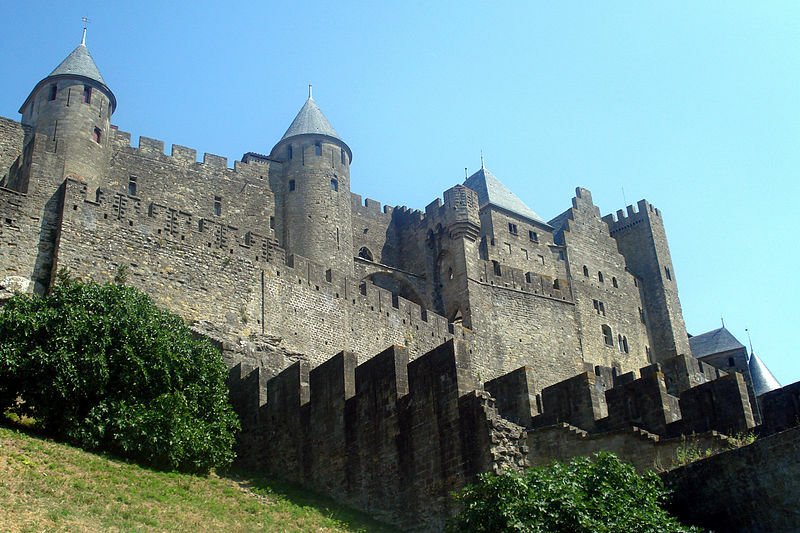 Carcassonne had reached its low point towards the middle of the 19th century when a century of abandon had made it extremely dangerous wherein the government had commanded it to be demolished. The buildings in the city were occupied but were in very poor condition and the efforts of the mayor and the antique monuments inspector decision reversed and the restoration of the town started shortly thereafter. Restoration was disapproved since it ignored to certain extent, local traditions, for instance the local roofs were not steeply sloping or covered with slates, though those with less concern for these technicalities were of the belief that the results would be exceptional if mistaken.